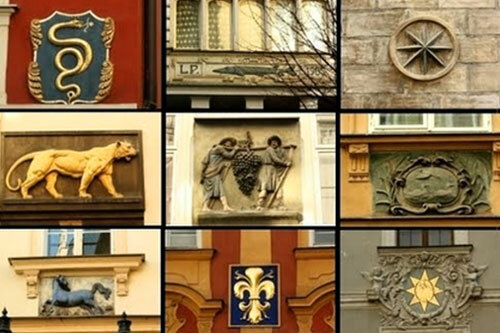 Historic quarters of the capital are full of symbols with spiritual and astrological meanings. 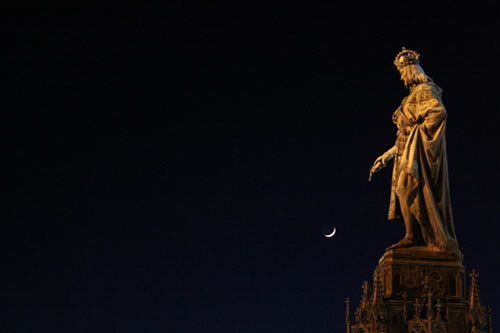 Simply think of Charles IV, the Holy Roman Emperor, who began transforming Prague into the earthly image of the heavenly Jerusalem, attempting to create an ideal city on Earth. Some two hundred years later, one of his successors, the Habsburg Rudolph II, moved his Viennese court to Prague. 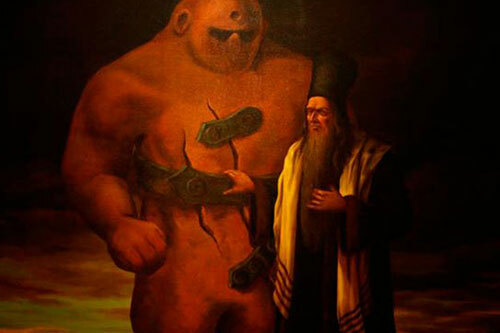 He brought together a wide range of artists, alchemists, astronomers and astrologers, many of whom focused on hermetic studies and practiced magic, as well as studying the kabbalah, driven by the goal to penetrate beyond material form and come to the essence of the God-created world. 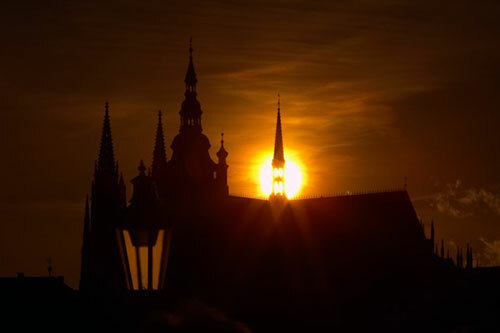 On a certain level, both these spiritually charged periods are still present in Prague. 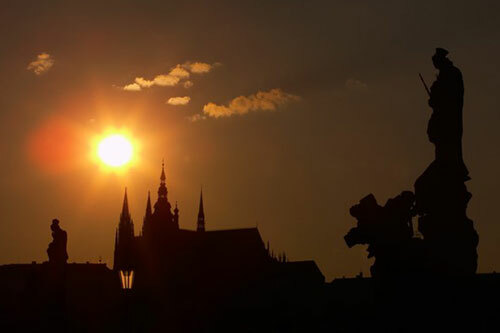 Today’s Czech Republic is one of the most atheistic countries in Europe. However, statistics miss a significant number of citizens who find an institutionally-unbound spirituality an integral part of their lives. And this does reflect in the city itself, a city representing a certain magical labyrinth in the heart of Europe. The basic walk takes 3 hours. Additionally, we recommend you add a visit to one of the locations listed below (each shows the duration of the given tour including the time needed for the transfer to the location and return). Charles the IV, regarded as a high rank initiate, had this monastery built on a ground plan of an imaginary cross. This was his special way how to sanctify the construction of the New Town he had founded. In 1347 Slavonic Benedictine monks were invited to live in the Monastery. They were allowed to perform Slavonic liturgy – something very extraordinary at that time. 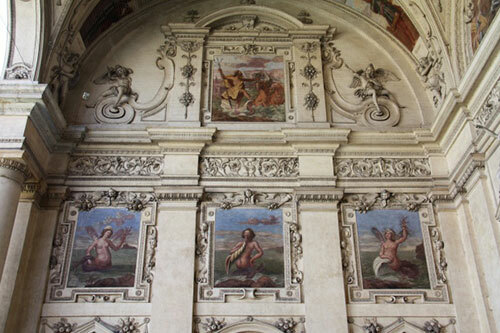 The cloister of the monastery is decorated with extraordinary series of 80 mural paintings, called “The Bible of the Poor”, portraying scenes from the Old and New Testament. Unfortunately, parts of the paintings suffered substantial damage over the centuries. In the 19th century the Monastery started to flourish again, and offered a refuge to German monks expelled from their Monastery in Beuron. The monks reconstructed the Monastery in the so called Beuron Pseudo-Gothic style, bringing in artistic elements inspired by Egyptian, Greek and Christian art. 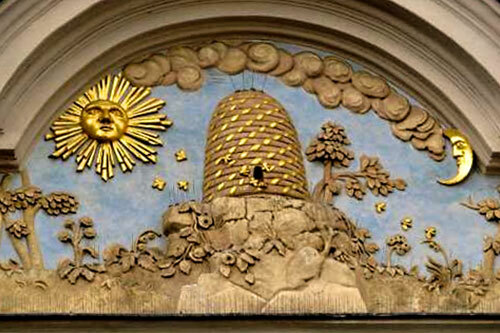 The result is a very unusual interior decoration, especially in the context of a Christian church space. The symbolist sculptor František Bílek was an exceptional artist representative of the Symbolist and Art Nouveau styles. He designed this villa to symbolize an altar with a grain field and serve both as a home for his beloved family and his own original atelier. The tour focuses on biblical as well as generally spiritual inspirations sculpted in wood – a material offering natural shapes that he intended to completely utilize. We can also admire the artist’s impressive drawings and walk through the individual living spaces of the house where he was so happy. Everything here breathes and sings in an effort to remain as close as possible to nature and its creator. Bílek was a man whose vision reached far beyond the horizon that is defined for most of us, a man who could sense the facets of reality that are normally beyond our reach. If even for a brief moment, Bílek’s artworks mediate this experience for us, letting our soul resonate in a way that’s long forgotten. 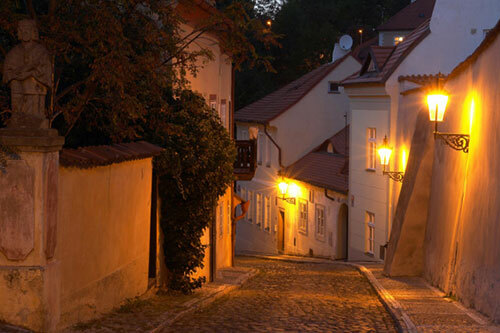 ... is a historical quarter on a rock above the Vltava River. A cradle of myths – for instance the one about the first Slavonic princess Libuše. Inside the fortification walls, constructed in a star-shape, you can find an ancient rotunda, a church and also a cemetery of renowned Czech personalities. 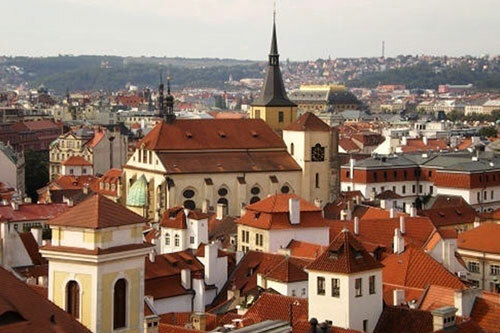 This exceptional place has for time immemorial been considered the spiritual center of Prague. You can find here numerous power places, where you can enter into contact with the world of subtle energies. 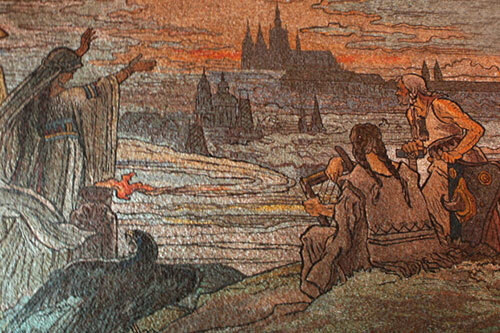 During our walk in Vyšehrad, we will not forget to take a look at the beautiful Art Nouveau mural paintings in the Sts. Peter and Paul church and the charming panel painting of Our Lady of the Rain, which is said to have miraculous power. 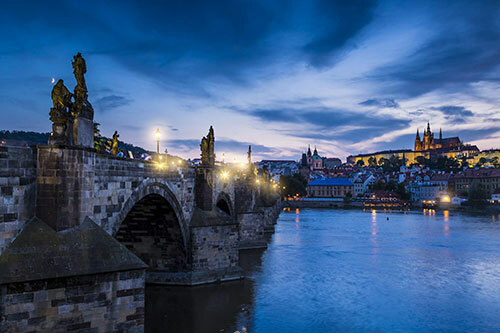 When walking through the park along the star-shaped fortification walls, where all these sights are located, you would be able to enjoy stunning views of Prague panorama. Hajný was a psychologist by education but, for over forty years, focused on fine art. Together we will visit this truly unique gallery that is located directly in the artist’s villa. 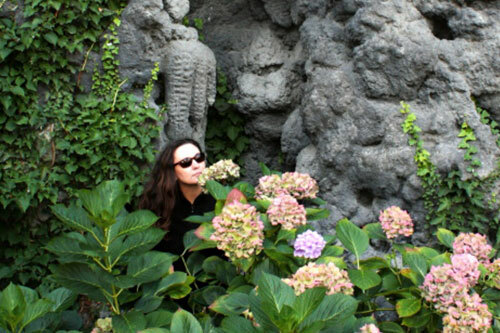 An extensive collection of paintings of clearly spiritual nature are exhibited here, as well as nooks with arrangements of crystals. The artist described his paintings as “landscapes merely sensed”. Even a short stay in this space brings an exceptional calming experience. As a psychologist, Hajný also studied the extrasensory perception of art by viewers and his work can be considered one of the most original examples of contemporary Czech art. This visit is likely to be a pleasant surprise. The museum is situated in one of the oldest buildings on the edge of the former Jewish ghetto. The historic cellars of this house were hidden to visitors for many years, until rediscovered in 2002 when the bottom floor of the house caved in following the historic flood of that year. Just the entrance to the inner core of the city is an interesting experience, but the actual existence of an alchemy workshop from the Rudolph II era was proven here. 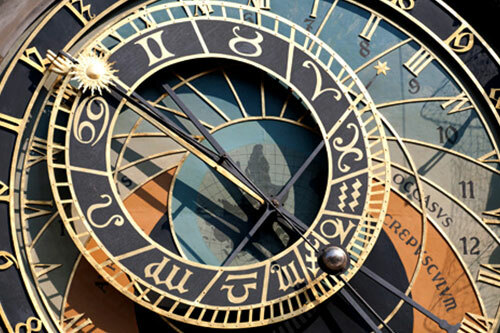 We will visit its reconstructed form, learning many interesting nuggets of information about the functioning of such secret workshops, where experiments focused on the transmutation of metals and search for the philosophers’ stone were conducted. In those times, there were many such workshops in Prague. Various elixirs (with guaranteed effects) are now produced again according to ancient recipes found here… perhaps you might not leave empty handed.